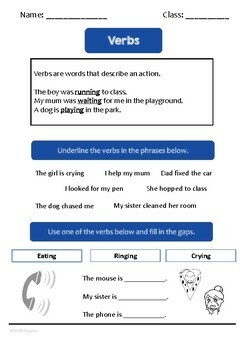 Verbs worksheet by a British teacher for new to English learners. Verbs are words that describe an action. The boy was running to class. My mum was waiting for me in the playground. A dog is playing in the park.